Hahaha...mine had not even the chance to roll his eyes as I informed him months ago that I would arrange everything at the office, so I could travel to Moscow in November to see Yuzu performing live. Yup, I had also to do a lot of planning (only work, I graduated long ago )...I will miss the open practices on Thursday but will join for Friday and the weekend!! Same here: will miss Thursday. Because of work. Feel a bit salty. Sigh. Student can disappear for a couple of minutes or skip the entire lecture, but what to do when you are a prof yourself? LOL!!!!!!!!!!!!!!!!! well then....maybe some lecture via Skype?!! hahaha....or what about your assistant replacing you on that day?! Maybe you can find some reason to follow the practices during the class. For research purposes of course. please please please stay healthy!!!! ok...but maybe the assistant professor has an assistant as well?! So, since there is still time until the first practice, I need help, guys. I've asked in a different thread already, but no answer so far and I need to hurry, so to say. 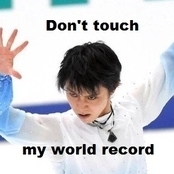 I have to show Yuzu to someone who doesn't know anything about him. Of course, I need an immediate impact and lots of info as well. I was thinking about one significant program (maybe worlds 2017?) and one fanmade video that would describe Yuzu's achievements and his life. Do you have any ideas? Something you used to "fanyu" someone else? 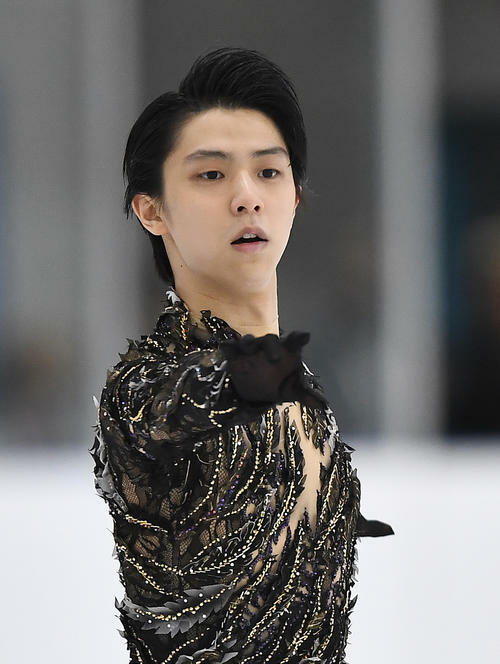 I showed my coworker a video of Olympic Seimei and he was v impressed, nodding his head to the music and making noises when he almost fell on the 4T combo and 3Lz, and literally gasping at the hydroblade . I was commentating while he was watching and explaining that it was his first competition since his injury he sustained three months prior and how this was his first skate back (after the short). Mayb show that and Helsinki Otonal bc the crowd was amazing tbh and it’s the same program that he’ll skate to at CoR? GPF Chopin. Short and has everything in. But my friend was actually converted after watching Seimei.